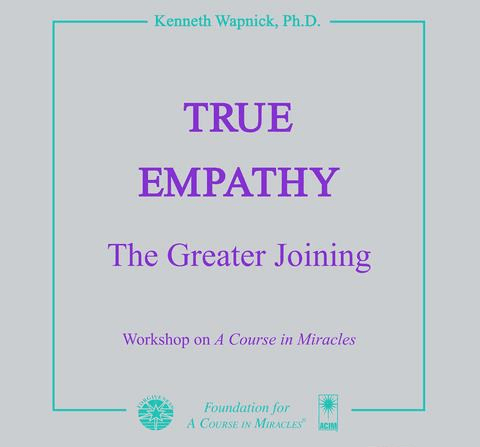 The tape set "True Empathy" was originally a workshop held at the Foundation's Institute and Retreat Center in November 1990. The workshop centered on the contrast between the ego's and the Holy Spirit's versions of empathy. What follows are excerpts from the transcribed audio tapes, which will present the basic themes of that workshop.